Precision CNC Machine Centers, Precision CNC Turning Centers, Manual Machine Tools! BY ORDER OF THE SECURED CREDITOR we will sell an outstanding offering of CNC MACHINE TOOLS, together with a full compliment of PLANT SUPPORT EQUIPMENT AND TOOLING. The photographs posted here are a small sample of what is available in this auction sale. 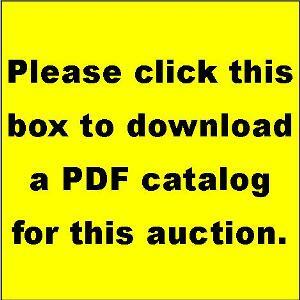 Please check back for lot catalogs and multiple images of all lots. 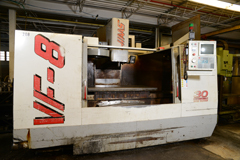 HIGHLIGHTS OF THE AUCTION INCLUDE:CNC MACHINE CENTERS - 2011 Haas VF-2YT with less than 1,000 hours, 1997 Haas VF-8 machine center, (3) Hitachi Seike HC400 machine centers, (2) Mitsui Seiki HS3A 4th axis machines, (3) YAM MV-3A, (2) Matsuura MC-600H-45, Comet CNC 2036, Leadwell MCV-0 plus a HUGE SELECTION OF BT-40 taper tooling (over 2,000 pieces), selection of like new CAT-50 taper tool holders, perishable tooling, cutters, tombstones, (4) BRAND NEW Suhner EconoMaster modular drilling heads, more… CNC TURNING CENTERS - 1996 Mori Seiki SL-65, 1988 Mori Seiki SL-25B, 1987 Mori Seiki SL-4C, Leadwell LTC-15, YAM LB-15 plus a HUGE SELECTION of chucks, soft jaws, tool holders, boring bars, cutters perishable tooling, more... MANUAL MACHINE TOOLS - Long Jen 25" x120" gap style engine lathe, Cincinnati LR 22"x48" engine lathe, Fortune S2080 gap lathe, BRAND NEW Victor 1440 gap lathe, (2) Victor 1460 gap lathes, Victor 1660 gap lathe, (2) Hardinge chucker, (4) Lagun FT-2 vertical milling machine, Supermax Series II vertical mill, plus a huge assortment of chucks, rests, tool holders, vises, accessories, more... GRINDERS - Shigiya Seiki GPA 27-60 hydraulic cylindrical grinder, Grisetti Elite M1000 hydraulic OD grinder, DoAll 8x24 surface grinder, Boyer Schultz 6-12 surface grinder, Chevalier FSG-618M surface grinder, Sunnen Precision Hone, pedestal grinder, carbide grinder, tool grinder, shop grinders… SAWS – Hydro-Mech S-23 mitering horizontal band saw, Phoenix PA13 horizontal band saw, WF Wells band saw, DoAll Metalmaster vertical band saw… INSPECTION EQUIPMENT – 1997 Zeiss Eclipse 4 CMM, 1990 Microstar 330-201 CMM, 1989 Sheffield Cordax RS-30 DCC CMM, Parlec Parsetter P30-3030 TMM precision tool presetter, Rockwell hardness tester, HUGE SELECTION of surface plates, micrometers of all sorts types and sizes, gauges of all sorts types and sizes, sine plates, height gauges, v-blocks, more… SHOP EQUIPMENT – Hyster 14,000 forklift, Yale 3,000 forklift, New Holland L555 skid steer loader, (4) sea shipping containers, HIGH QUALITY TOOL BOXES and hand tools, pallet racking, stock rack, LARGE SELECTION OF STEEL AND GRADED METAL, workbenches, shop press, welders, plasma cutter, parts cleaners, so much more. PLEASE CHECK BACK FOR CATALOG, STILL LOTTING! LIVE AUCTION WITH WEBCAST: This auction will be conducted LIVE ONSITE and also Webcast live via Bidspotter. THIS AUCTION HAS CLOSED AND THE WEBSITE REMAINS FOR INFORMATION PURPOSES ONLY. PAYMENT: ALL PURCHASES MUST BE PAID IN FULL ON THE DAY OF THE AUCTION. All on site purchases subject to a 15% buyer’s premium, 18% webcast. Payment on site may be made by cash, certified funds, ACH or wire transfer (instructions on invoice). MasterCard and Visa accepted up to $5,000, 3% convenience fee for credit card purchases. Company checks will be accepted only if accompanied by a letter from the issuing bank that reads: (Bank Name) unconditionally guarantees payment to Blackbird Asset Services, LLC from (Purchasers Name) on account number ______ up to the amount of $________. This guarantee will be valid for purchases made at the AMC Precision auction on Tuesday, February 10. NOTE TO WEBCAST BUYERS - Please be advised that although you are required to present a credit card to register at Bidspotter, we do not automatically charge your card following the auction. Upon receipt of an invoice following the auction sale please contact our industrial auction office to make payment arrangements. CATALOG: Downloadable PDF Catalog available by clicking the box below. INSPECTION: THIS AUCTION HAS CLOSED AND THE WEBSITE REMAINS FOR INFORMATION PURPOSES ONLY. REMOVAL: Removal for smalls and hand carry items will be Wednesday, Feb 11 through Saturday, February 14th 8:00 – 4:00 only. Riggers scheduled thereafter by appointment. All purchases must be removed no later than February 28th. Currently, LTR Rigging (716)694-8900 has been approved to rig at this sale. Other riggers are encouraged to review the PDF catalog and submit insurance certificates in advance of the auction. Check back for a list of riggers that have pre-qualified to work this auction.